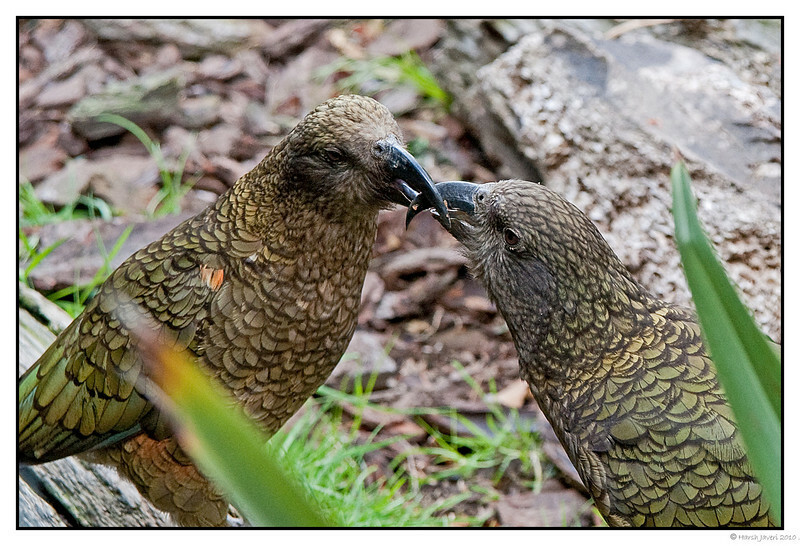 The Kea (Nestor notabilis) is a large species of parrot (family Strigopidae) found in forested and alpine regions of the South Island of New Zealand. Measuring around 48 cm (19 in) in length, it is mostly olive-green and has a large narrow curved grey-brown upper beak. Great detail and lovely shot! Love the interesting and beautiful feathers of them. Very nicely captured, beautiful birds! Fantastic shot Hershy, the detail is wonderful and thanks for the info about these beautiful birds. details in those feathers are great! nicely done! Wow! What a shot -- fantastic detail!